Alex (Grant McLellen) painstakingly prepares a breakfast-in-bed tray as only a 9-year-old can. But for Alex and his family, Mother’s Day means something different. A sweet, poignant drama. 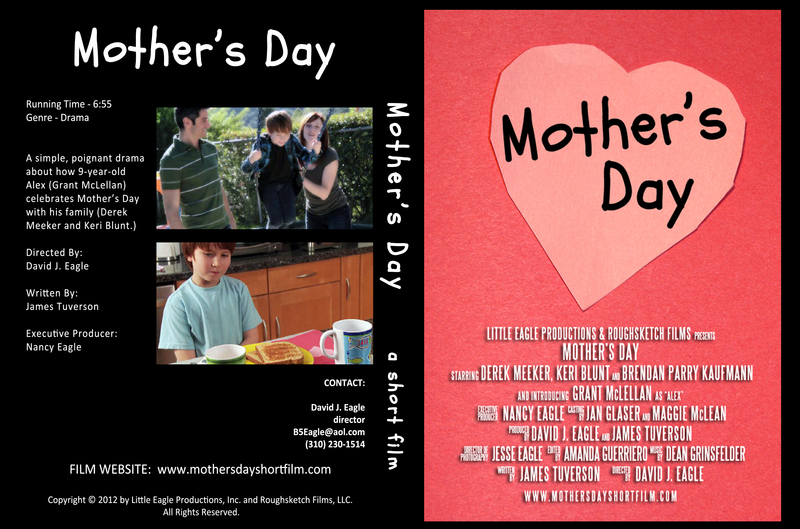 NOTEWORTHY: “Mother’s Day” was directed by Emmy Award-winning director David Eagle, the second short film that David and I produced together. Short Film: Mother’s Day from James Tuverson on Vimeo. Unraveled teenager Max (Jarod Einsohn) holds his best friend Peter (Stuart Lafferty) hostage the night before he plans a murderous assault on their high school. Desperately wanting his best friend’s company—yet afraid of having his meticulous plans ruined, or of Peter getting hurt in the imminent carnage— Max handcuffs Peter to a pipe in his garage, forcing him to stay while Max plans his deadly errand. NOTEWORTHY: Director Joel David Moore is a well-known character actor who played Dr. Norm Spelman in Cameron’s “Avatar”, as well as regular roles on TV’s “Bones”, “The Medium” and “Forever”. And let’s not forget “Shark Night 3D”! 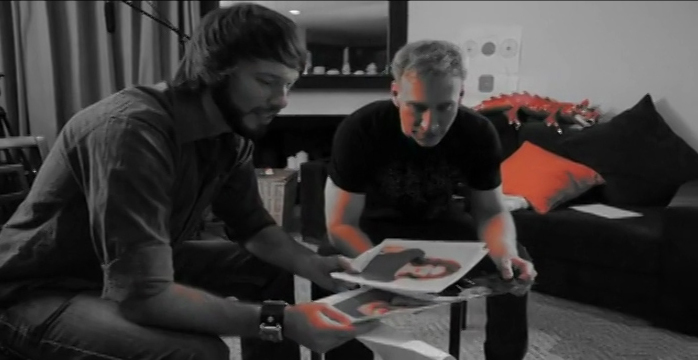 This film was shot on a RED camera, so its production value is amazing. 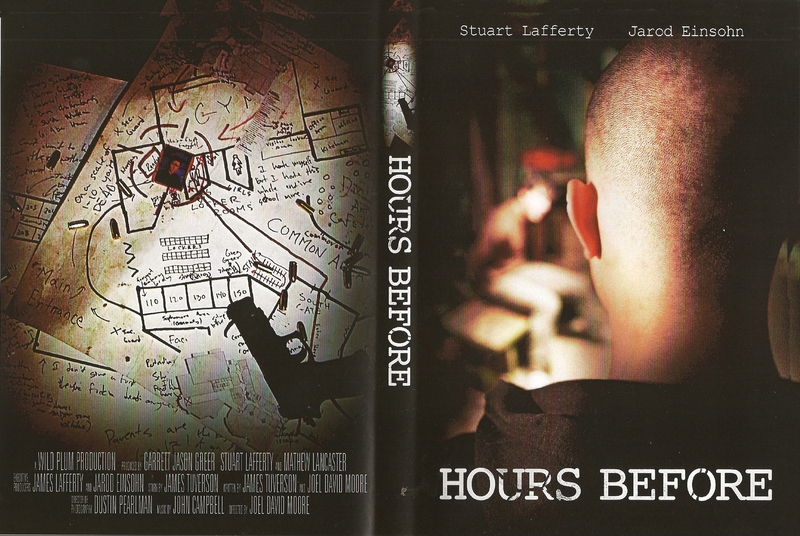 Short Film: Hours Before from James Tuverson on Vimeo. Acid thunderstorms at the high school turn everyone into Zombies except senior Ralph (Branden Goodman) and freshman Scott (Jordan Frank) who find their only sanctuary is a dank janitor’s closet on campus. With their teenage turned-undead friends clawing at the door, who will make it out to spark the Resistance? NOTEWORTHY: There’s a cool special effect in “Zombies Take The Schoolyard” which sparked the demand for a “Zombie Extend-O-Jaws”toy! Download the toy’s sell sheet here! 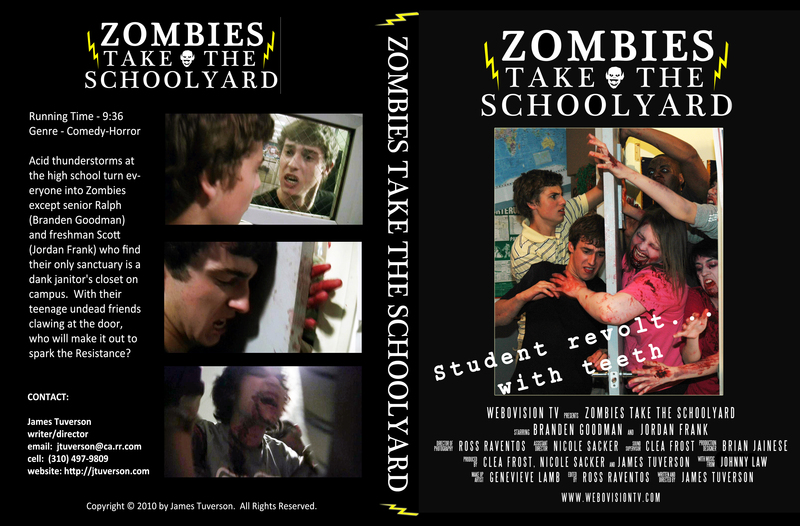 Short Film: Zombies Take The Schoolyard from James Tuverson on Vimeo. 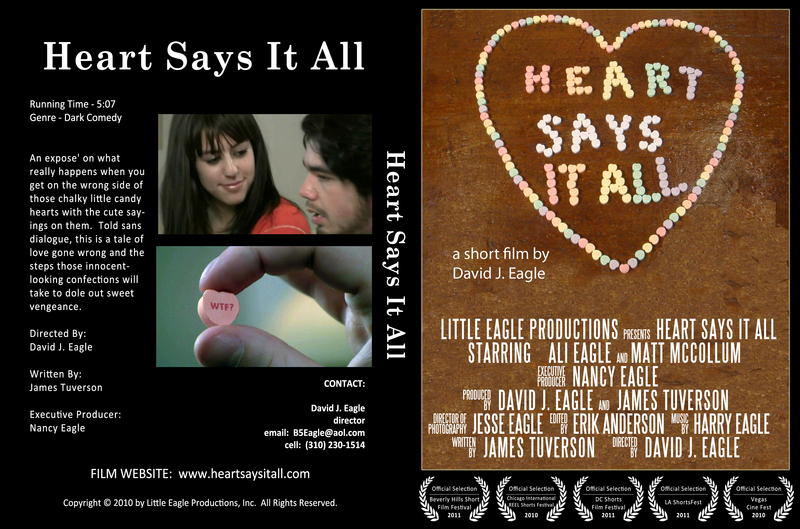 An expose’ on what really happens when you get on the wrong side of those chalky little candy hearts with the cute sayings on them. Told sans dialogue, this is a tale of love gone wrong and the steps those innocent-looking confections will take to dole out sweet vengeance. 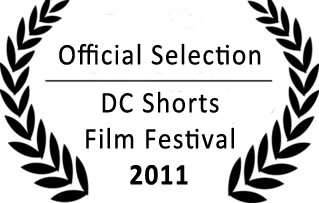 NOTEWORTHY: “Heart Says It All” was a huge hit at the D.C. Shorts Film Festival several years ago… so much that the festival regularly re-screens our short and has given it a permanent home in its video archives. 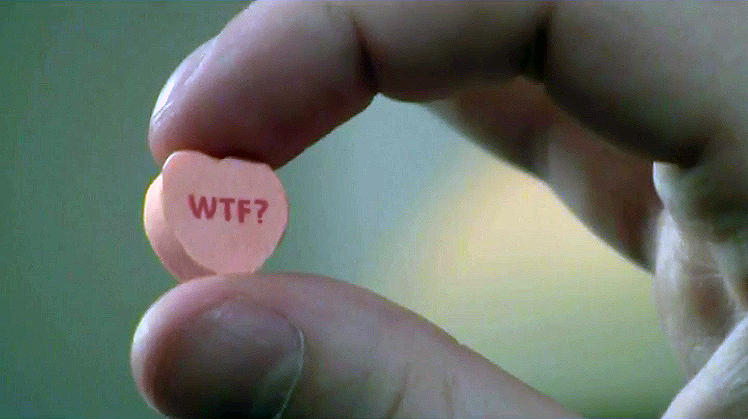 Our iconic “WTF Heart” image is also available on the site for download in hi-res! This sweet treat doesn’t pull any punches. Two teenagers find themselves on a steep cliff overlooking the Swedish mountainside. They play a game, Truth or Lie, to determine the circumstances that brought both to the precipice. As the truth is revealed, the games changes from Truth or Lie… to Truth or Die. In Swedish, with English subtitles. Short Film: Sanning Eller Död (Truth or Die) from James Tuverson on Vimeo. 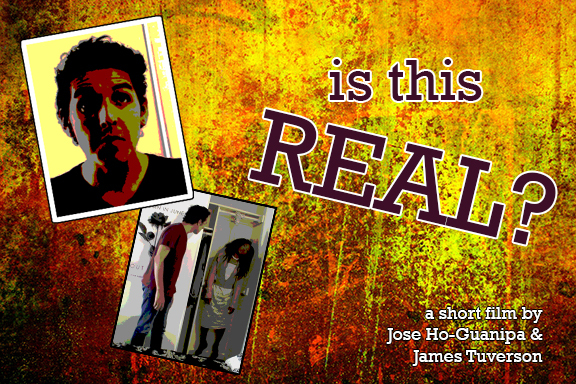 This effort attempts to distribute a short film virally by leveraging the power of Social Media. We set up a fictional online personality for “Rowland”, including a Google+, YouTube, Twitter and Facebook accounts. We spent a few weeks developing Rowland’s personality through various posts, comments, likes, and shares; he’s a lonely, moody young man who’s having problems with his girlfriend, Emily. Once “Rowland” has sufficient friends and interaction on the web, he’ll share his video and invite them to see his “Last Video Blog Episode”, where he takes care of the Emily problem, once and for all. When people see that “Rowland” leaves “Emily” hanging by the neck from a rope in his closet, users will wonder, “Is It Real?” and hopefully share the film with friends to ask their opinion on whether “Rowland” is someone the police should know about. Here’s a page that gives details on the production, including credits (since the film naturally doesn’t include them.) ! Thanks for taking a look!! “On Tha Beat” is a series on ShockBox TV that captures candid interviews with up-and-coming musical artists at famous venues around Los Angeles. With Matt Prater reporting and James Tuverson behind the lens, the pair attend local shows to grab live, in-yer-face footage of artists on stage and after the show! Check out the “On Tha Beat” YouTube Channel for all 22 episodes! ShockBoxTV’s premiere series “Kick A$$ Band of the Week” features independent artists and bands from all over the world. 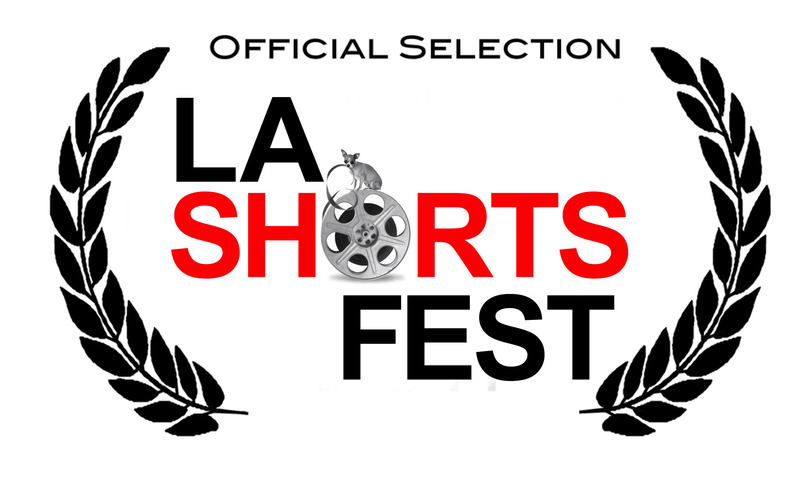 Hosted by Matt Prater from his L.A. loft, the series showcases clips of professionally produced music videos from each of the bands featured. Check out the “KickA$$ Band of the Week” YouTube Channel for all 15 episodes! Check out all 15 episodes of “The Nanny Interviews” here, on Blip TV! After tests resume at the world’s largest SuperCollider, the globe experiences a series of events that suggest something has gone horribly wrong… One Los Angeles couple is caught up in the aftermath. 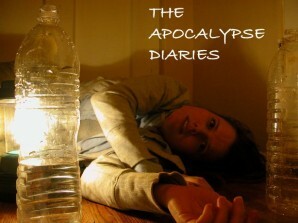 Check out the entire 19-episode series of “The Apocalypse Diaries” here!